Yet another federal judge has blocked the enforcement of an anti-abortion law (in yet another Southern state) that most likely would have led to the closure of all five of Louisiana's abortion clinics. Of course allowing clinics to continue providing safe and legal abortions is a great thing, but the decision isn't quite as progressive as it seems. Federal Judge John deGravelles issued a last-minute temporary restraining order on the law that requires abortion doctors to have admitting privileges at a hospital within 30 miles, or risk fines and potentially closure. The order does allow the law, signed by Gov. Bobby Jindal in June, to go into effect today. However it will bar officials from issuing penalties or fines to doctors (and abortion clinics) whose application for admitting privileges are still pending. 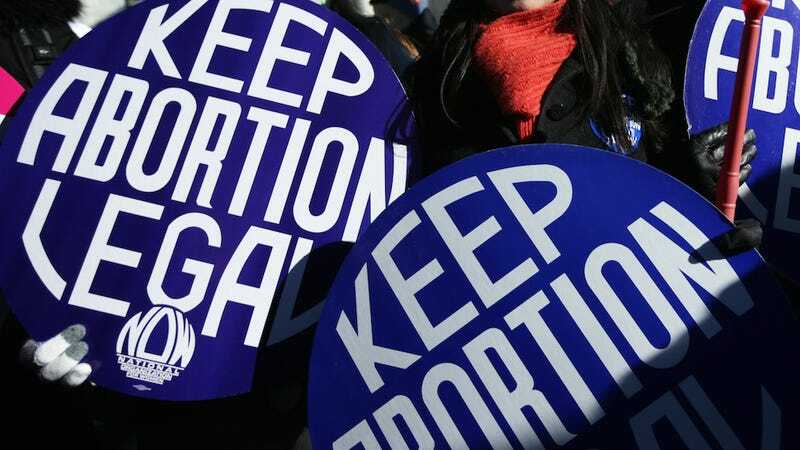 At the moment three of Louisiana's five remaining abortion clinics have filed a suit against the law claiming their doctors have not had enough time to obtain admitting privileges and that it would most likely lead to the closure of all five clinics. "How many patients do these other two facilities treat? How many doctors practice there? How many of these doctors have applied for admitting privileges and what is the status of their applications?" he wrote. He said he needs answers to those and other questions, including how far patients would have to travel for care if the other two clinics stayed open. It's great that deGravelles wants to see exactly how admitting privileges will affect women's access to a safe abortion. But again, admitting privileges are "medically unjustified" and kind of irrelevant. Not only are abortions incredibly safe, but in the extremely rare case that a patient must be taken to a hospital in an emergency, admitting privileges don't do much in terms of the doctor's "ability to affect" the patient's treatment. Judge deGravelles said that he will call a "status conference" in 30 days to see how those pending admitting privileges applications are going and also to consider a request to completely block the law while the clinics' case is in court. So yes, Louisiana has joined Texas, Alabama, and Mississippi in staving off the enforcement of Targeted Regulation of Abortion Providers (TRAP) laws—a win—but for how long?